Have you ever wanted something your whole life? Something that you have thought about pretty much everyday for as long as you can remember? 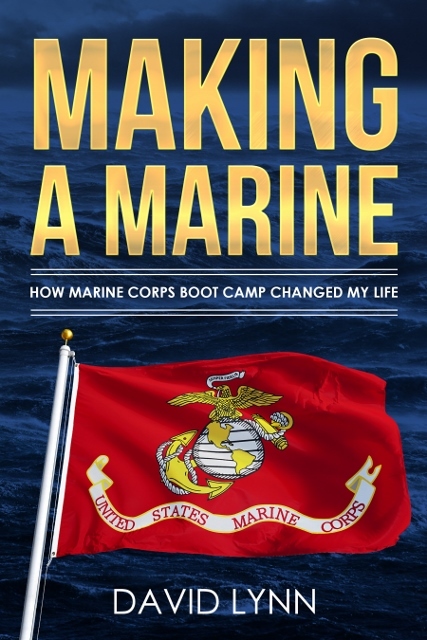 Something that you have always wanted to do, but always made excuses as to why you couldn’t? Something that you actually started once, but then those excuses came rushing back in so you quit? Something you actually convinced yourself would never really happen, but it sure was a nice dream to have for 30+ years? But then you actually did it? Such was my journey to becoming a pilot. I have written about most of the journey in previous posts so I won’t dive in too deep, but before I talk about the hill that I finally reached the top of, I would not be telling the whole story if I didn’t share the struggles to get there. 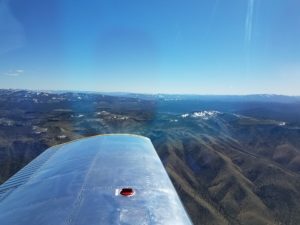 If you would like to skip the struggle scroll about halfway down the page, past the picture, and you will get to hear about my checkride. All of the questions that I wrote above were real life for me for more than three decades. I would beat myself down and say it could never happen. I would make excuses and blame everyone else for it not happening. I would get really excited and motivated only to toss aside the dream the very next day. I would say I wanted to do it so bad only to waste money on games or stuff or even just food. To be very clear, these were all choices that I made. Some of them I don’t regret one bit, like stopping flying when my daughter was born and we simply couldn’t afford it, but if I am being honest with myself, I wasn’t willing to do what it would take to actually get it done. What that means is very different for everybody. Some people are fortunate enough to be born into money or through some other means get their ratings paid for. Others work multiple jobs, clean planes, sweep hangars, give up all of their free time and can barely squeak out a rating every year or two. Still others decide to take on the debt and just go for it with that airline dream to pay it back later. On that note we all do it for different reasons. Some people do it to get to the airlines, others to fly in airshows, some to chase that $100 hamburger. The reasons are endless, and it really doesn’t matter what your reason is, as long as it gets you where you want to go. Your reasons may even change over time, and that is okay too. So what finally pushed me to get it done? I don’t really know for sure. It definitely wasn’t one thing, but I can think of a few things that probably led to it happening. In the last 9 months or so I have started listening to a handful of podcasts that relate to business and self-improvement and one aviation related one. As I listened to all of these shows I was always blown away by how many incredibly successful people started later in life, or made huge commitments to stuff like Law School only to never practice law but instead be a comedian or a writer or some other job with no formal education needed. It didn’t really matter where they had started, or where they had ended up, but the one theme that seemed common throughout them all was that they weren’t happy with where they were so they decided to do something that would make them happy. Forget everyone else who told them they couldn’t, or that they were crazy, or that they would regret it. In many cases they gave up hundreds of thousands of dollars to live on next to nothing, but they were happy because their life was filled with what they wanted to do. I am sure that you can find just as many people with similar stories who failed as succeeded, but I have great respect for all of them, because at least they tried. They saw something in their life they didn’t like and decided to try something new. Even if they didn’t find success in the new venture they learned and grew and had a story to tell. How boring will life be if the only story you have to tell is about the inside of a cubicle? My apologies if it feels like I am digressing a little, but these were all of the thoughts swirling around in my brain when I finally said I truly didn’t care what I had to sacrifice, I am going to pursue my dream no matter what. With any luck maybe it will inspire one person to realize they are not unique in having doubts and yes they actually can do it. I had a plan to use a big chunk of my tax return to knock it out quickly, which lasted as long as it took the weather to ruin that plan. It ended up taking a little more than three months, and I did take on some credit card debt to get it finished, but I don’t regret it one bit. I still recommend getting it done as close together as possible since that does make a difference. Having as much of the money together up front is also a good plan for the same reason, but don’t wait for everything to be perfect, because it never will be. There will always be an excuse and somewhere else to spend your time and money. That’s okay if you go a different direction, we all have different passions and flying isn’t for everyone. The chariot that took me to a fulfilled dream. Enough of me blabbering on about feelings and stuff. 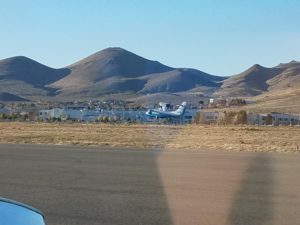 Let me tell you about my checkride in the hopes that maybe you can learn from my mistakes and gain hope for your checkride(s). I showed up to the airport about an hour before the scheduled checkride. My CFI had the plane all clean and ready to go with logbooks in hand. I should also mention that I did a mock checkride a few days before with my CFI’s brother Zakk who is also a CFI and regional pilot. There wasn’t much on the flying side that was improved on that flight, but the time he spent asking me questions about the plane and other stuff felt invaluable to me and my comfort level. While much of it was not asked about, the peace of mind it gave me was well worth the time. If you have the time I would highly recommend having a CFI that hasn’t flown with you go up for a quick ride to get an outside perspective. 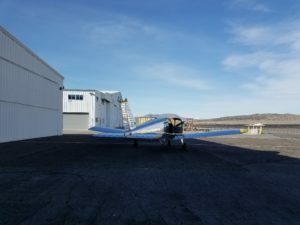 After a good thorough pre-flight I taxied over to the fuel pit and filled her up before tying her down and heading inside to meet the Designated Pilot Examiner (DPE). It was at this point that we discovered two issues. My CFI needed to recommend me for my checkride online, and I had done an electronic flight plan but not a paper one. With a little bit of luck, and 7 years of making flight plans, we were able to get both of them taken care of and I was only a few minutes late meeting my DPE. After getting through some of the admin and introductions we went through the logbooks, where I looked like an idiot staring at the page with the transponder inspection while my eyes refused to see where it actually said it. 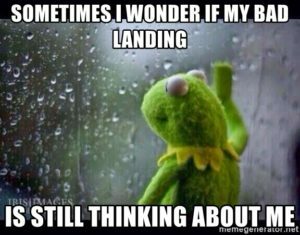 I chalk that one up to checkride jitters. I’m not sure what to chalk the next question up to once we got talking about flying, because I had a complete brain dump once again. At this point I was a little worried, but he quickly moved on and I got on a roll. There was nothing that he asked that was a surprise after studying the ASA Oral Exam Guide, which I highly recommend. $12 very well spent. I still struggled through a few questions just because I wasn’t exactly sure what he was asking. Once we clarified a little back and forth I was able to answer all of his questions except one (I will now never forget that the plane prevents itself from exceeding its load factor by stalling). 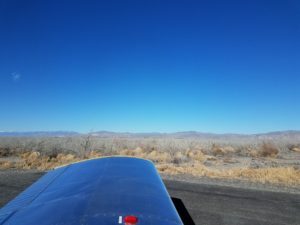 The oral part of the checkride was actually faster and smoother than I expected it to be after the first few questions. He then gave me a quick brief on what to expect on the flight and we stepped out to the plane. When we got to the plane he did a quick walk around himself and asked a few questions about the plane including asking if a lower pressure on one tire was normal, which it was in this case. We then jumped in the plane and kicked off the flying portion. 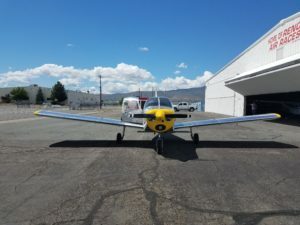 I gave a good thorough passenger brief which is something I wish I had started doing earlier with my CFI so it would have been more in my habit pattern, then we started her up and headed for the runway. I have the habit of talking myself through what I am doing including my thoughts when I am in this type of situation which may or may not be a good thing. It shows that you are considering all different types of things, but it also opens you up to saying something wrong and leading to more questions that never would have been asked if you kept your mouth shut. For me, I also don’t like silence, and a good examiner will not say much so the talking helps keep me more relaxed. As we rolled onto the runway I got a little excited, and I said what I say on pretty much every flight I took in preparation for this day, “Let’s do this!” It is kind of a silly thing, but it reminds me how much fun this is supposed to be. In my excitement to get in the air, I tried to rotate too early, and the plane didn’t want to fly. I relaxed a little, let it build up some speed, and we lifted off without further issue. 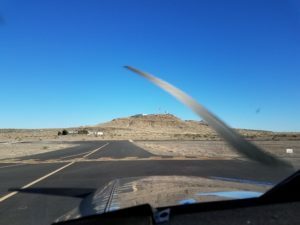 We headed out to the West on the first leg of the cross-country I planned, which did not take long to show I knew what I was doing. I guess the millions of dollars the Air Force has spent on teaching me to flight plan and navigate has been money well spent. 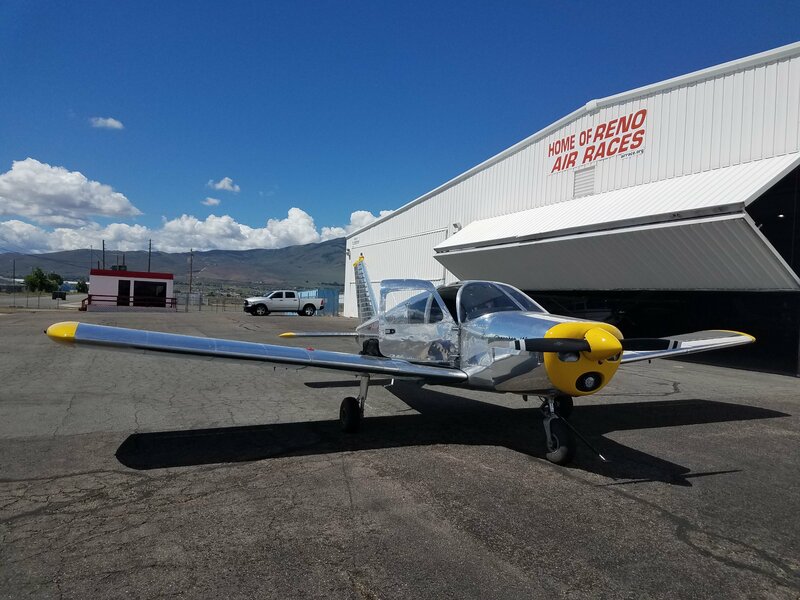 Once we had climbed up and found some clear air, which was abundant on a gorgeous Summer morning in the Reno area, we proceeded to go through all of the maneuvers. 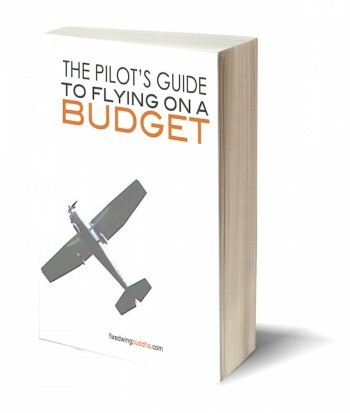 Stalls, steep turns, unusual attitude recovery, engine out, using the foggles, etc. The whole thing went really well other than slow flight. I went to full flaps, and I did it too quickly. This led to me being unable to maintain altitude like I wanted. I was in control the whole time, but descended more than I would have liked before slowly climbing back up to altitude. 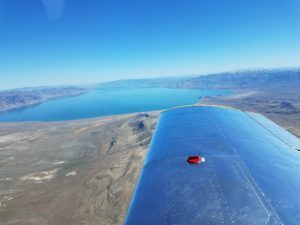 A great lesson for anyone who has not done a checkride before is to not evaluate yourself. If you do something less than perfect then push it out of your mind and move on. Dwelling on the past will only make the rest of the ride go worse. 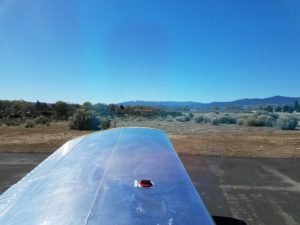 Having had my fair share of checkrides, as well as giving a fair number as well, I pushed it aside and kept flying the plane, which is the most important thing you can do. With all of the maneuvers complete we headed back to Stead to take care of my landings. I opted for my soft field first probably because I was more scared about the short field landing and my tendency to float and I hoped that getting a good one in first would help calm my nerves a little. I came around high as usual and took advantage of the opportunity to get my slip in. Still one of my favorite things to do in a small plane. 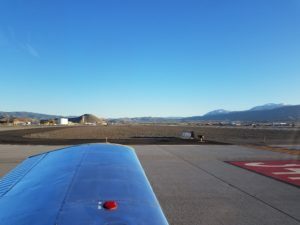 As it turns out my soft field landing was not incredibly soft, but I got it down safely, and we taxied back for my soft field take-off, which went much more smoothly. I flew around the pattern more nervous than I had been on the rest of the flight, especially after my less than stellar soft field. As we came in for the short field I was actually a little low and drug in which is incredibly unusual for me as I am almost always pretty high. I was also a little fast, and just as we came over the threshold I let the wind push me to the side of the runway so I decided to go around. Something else that you shouldn’t forget when you show up for your checkride. If you have a bad approach to landing without a DPE you would go around, why wouldn’t you do it with the DPE? I have a friend that told me he went around five times on his checkride because he was so nervous, but he still passed. Just thinking about those words makes me pause for a minute. I did successfully navigate back to parking where he shook my hand and told me congratulations. The next half an hour or so finishing up paperwork and putting the plane to bed are all a little fuzzy to me now as I think back on it. But the feeling of finally achieving something that I had wanted for so long is something that I will never forget. I was finally, officially, a pilot. I will share a few things he debriefed me on, again in the hopes of helping someone else. One of the reasons my landings were not great is that I was landing with a tailwind. 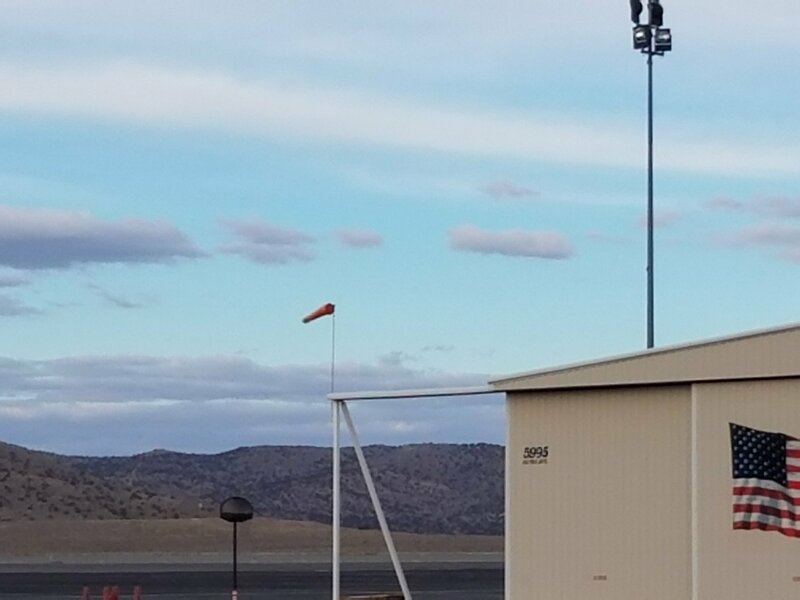 I checked the weather on the way in and picked the correct runway, but while we were in the pattern the wind shifted which only made it harder on myself, so keep the windsock in your cross check. There is no need to go to full flaps for slow flight, at least in a Cherokee. The maneuver can be performed with other flap settings as long as you are safely getting to the correct speeds. Don’t forget the little power bump before touchdown on a soft field landing, it really makes all the difference in how soft it will be. The biggest lesson that I would like to share to help those who may be nervous is that you don’t have to be perfect. I completely missed some of the questions he asked me on the ground. My slow flight descended too much, my soft field landing was in his words, “not soft”, but I still passed. 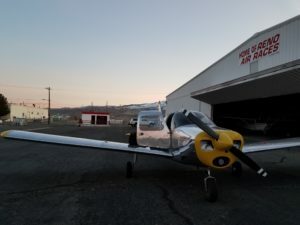 At the end of the day he told me that he feels comfortable that I will handle a plane safely in the future, which is the whole point of the checkride. You aren’t held to commercial pilot standards, they just want to make sure you will be safe and smart in the air, that’s it. 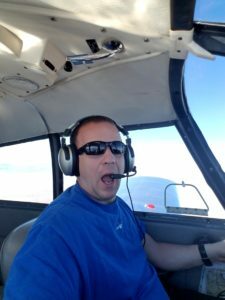 It is often said that the Private Pilot Certificate is simply a license to learn, and I am even more excited to learn now than I was before. Now to convince my wife to let me pursue an instrument rating. I’m not sure if it is better or worse that I waited to write this post until a few weeks after it actually happened, but the whole thing is still very surreal to me. I haven’t been able to get back up since the checkride courtesy of work, life, and some things I put off to finish my certificate, but I look forward to taking my sons and daughters up in the near future, as well as my sweet wife who sacrificed just as much during this time. There is one other reason that I finally pursued this dream that I left out earlier. If I am being honest with myself, it is probably the biggest reason, and the one that pushed me all the way to the end when it took longer than I hoped, I wasn’t as good at first as I hoped, and when the money ran out and I had to take on some debt. I really wanted to show my kids that they can follow their dreams too. It doesn’t matter how long you wait, or how hard it is, when you truly commit to your dream, you can get there. I don’t know if any of my kids will love planes as much as I do, I hope they will, but if nothing more comes of this than showing my kids that they can follow their dreams, then the whole thing was worth it. I had originally intended to write a whole post about this and my preparations for this day that I have been anticipating for 30+ years. Unfortunately, life got in the way, as it often does, and I think a good night’s rest is more important so this will be shorter than I had hoped. I just finished going through my log book to make sure all of my times were accurate and complete. I got a brief from the flight service station that confirmed what Foreflight and my eyes already showed: it is going to be gorgeous weather tomorrow. I rechecked my weight and balance along with drawing my route of flight on my paper chart. I took one last look through my study guide and have run through A TOMATO FLAMES, ARROW, and FLAPS about a thousand times in my head, so hopefully I won’t forget about the Mag compass tomorrow like I always do. The crazy thing is that I don’t really feel that nervous. I have had plenty of checkrides in the Air Force so that probably helps. There is still some uncertainty of what the DPE will dig into on the ground, but I feel pretty good about the whole thing. I don’t know that this is providing any value for anyone other than myself as it is helping clear my head before I go to sleep, and I am probably only doing it so that people will say good luck and make me feel better about myself.